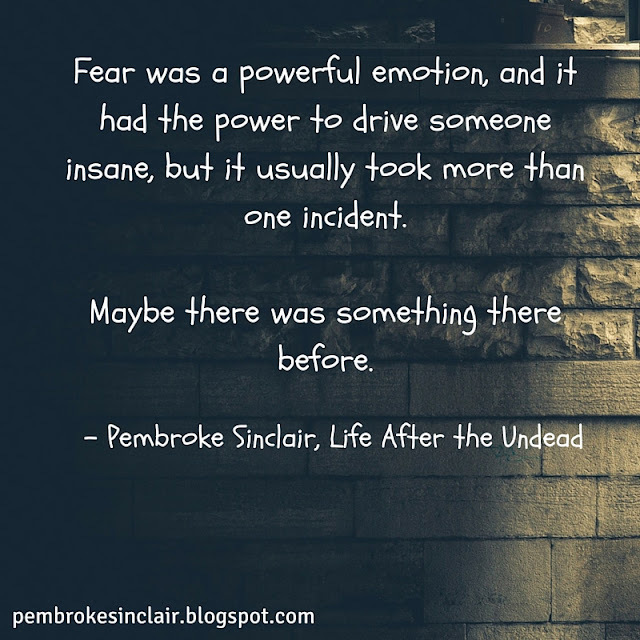 This book blitz and giveaway for Pembroke Sinclair's Life After the Undead is brought to you by Xpresso Book Tours. 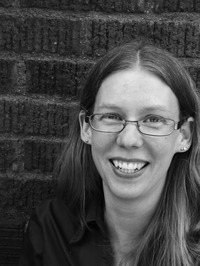 More books by this author: The History of My Wishes (read my blog post), The Weeping Bride (read my blog post), The Appeal of Evil (read my blog post), Dealing with Devils (read my blog post), Good Intentions (read my blog post), and Undead Obsessed (read my blog post). Zombies aren’t the only creatures she has to be cautious of - the other survivors have a dark side. Krista must fight not only to live but also to defend everything she holds dear - her country, her freedom, and ultimately, those she loves. I will never understand peoples’ fascination with the apocalypse. Why would you waste so much time and energy worrying about something you can’t change? Besides, most of the time, it never comes to fruition, anyway. Remember Y2K? I don’t. I was too young, but I’ve heard stories. What a hullabaloo that was. People were so afraid of computers failing and throwing society back into the Dark Ages, they stockpiled supplies and moved into the wilderness so they could get away from technology. Why would they move to the wilderness? If technology was going to fail, wouldn’t they be just as safe in a city? I guess they were afraid when it did, everyone would go crazy and start killing each other. Either way, it didn’t happen. I wonder how those people felt afterward. Then there was the whole 2012 scare. This one was supposedly based on an ancient prediction, so you know it was reliable. Are you kidding? Even the Mayans didn’t believe their own ancestors’ "vision". What happened was there had been a tablet that had the Mayan calendar carved into it. The end was broken and faded, so no one knew what it said. Our culture, being the pessimistic lot we are, automatically assumed it was an end-of-the-world warning, but, again, nothing happened on December 21, 2012. Christmas came and went, and I think everyone everywhere, even the skeptics, had a little something more to be thankful for. Life went on as usual, and all those doomsayers faded into obscurity. The day the world did end was pretty nondescript. By that I mean there was no nuclear explosion or asteroid or monumental natural disaster. There weren’t even any horsemen or plagues to announce the end was coming. The world ended fairly quietly. I couldn’t even give you a date because it happened at different times depending on where you were. It was never predicted, and I’m sure a scenario no one even considered. Who really thinks the dead are going to rise from the grave and destroy the majority of the population? No one but Hollywood, and we all know those are just movies, but that’s exactly what happened. Those of us who survived were left wide-eyed, mouth agape, trying to figure out what to do next. There were a few who were able to pull their heads out and organize those left behind. They made sure the populace had food, shelter, and protection. They were saviors, the United States’ heroes. Life wouldn’t have gone on without them, and it was pretty difficult those first few years after the zompocalypse. Sometimes it’s difficult for me to remember what life was like before the rise of the undead. I was a teenager, though I hesitate to say normal. I wasn’t deformed or anything, but my classmates thought I was strange. I had a fascination with the dark, the macabre, although I wasn’t a Goth or Emo. I read books and magazines about serial killers. I didn’t idolize them or want to be like them - hell no - I was fascinated with how evil and black a human’s soul could get. I wanted to be a psychologist and work with the criminally insane, maybe figure out why they did what they did. Apparently, when you’re fifteen, your friends think you’re weird if you have desires to help someone other than yourself. While they were worried about becoming popular and getting the right boyfriend, I tried to figure out how to make society better. Of course, those dreams will never come true. Society doesn’t exist. Everything I once held dear is gone. I lost my parents to the horde, like a lot of kids. Unlike some of the others, mine weren’t taken by surprise or in some freak accident. They were taken because of their own stupidity. Some days I miss them a lot, but others I believe they got what they deserved. I might sound callous and uncaring, but what about them? Why would they abandon their fifteen-year-old daughter? It used to keep me up at night, trying to find the answer to that question, but I’ve given up asking it. No reason wasting time on things that could’ve or should’ve been. As I stare out the passenger side window of the semi, I’m reminded how bleak the future has become. The truck rolls down a once heavily traveled highway that has been reduced to a cracked trail. Gas stations and towns dotting the landscape have been abandoned and are crumpling into the weeds that are taking them over. There are a few areas that still resemble pre-zombie destruction, and these are the military outposts set up along the road, used for protection and refueling. I use the term "military" loosely because there is no formal military anymore. It’s a rag-tag group of men and women who were lucky enough to get guns. I chuckle to myself. It’s been two years since I was last out in the world, and a lot has changed since then. I still remember the day the zombies attacked. It’s as clear as if it’d happened yesterday. I am fascinated with zombies - obsessed, if you will - and I have been since the first time I watched Night of the Living Dead many, many years ago. When I get really stressed out, I often dream of the undead and have to find ways to fight against them. 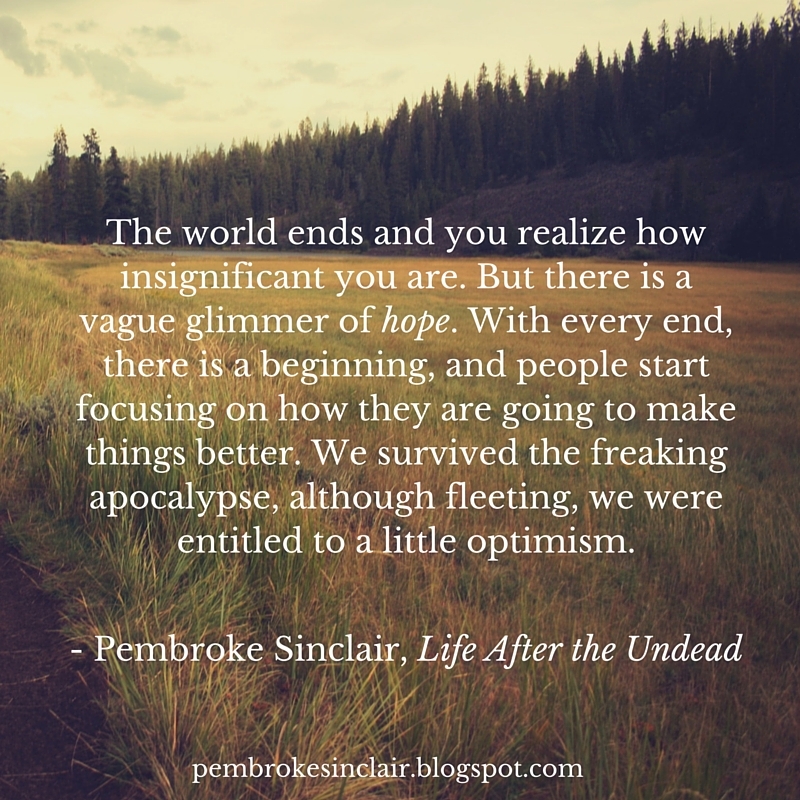 That is where the inspiration for Life After the Undead came from. The dream occurred several years ago, and while I don’t remember the exact details, I recall that my spouse and I were hiding in a small town while all of the zombies were migrating through. They were heading West so the humidity didn’t cause them to deteriorate faster. I woke up and thought, "Hey, that’s a great idea!" So I fleshed out the story. 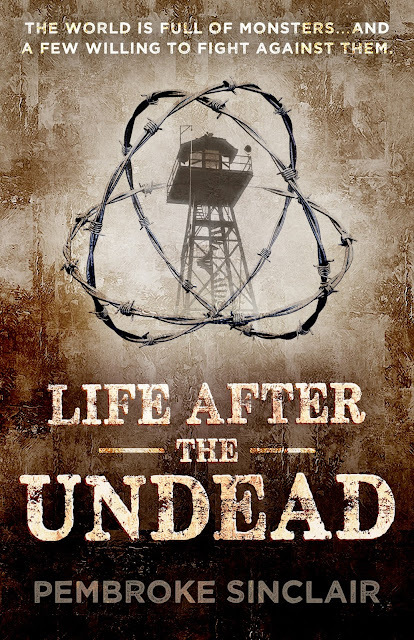 Enter the blitz-wide giveaway for a chance to win a paperback copy of Life After the Undead by Pembroke Sinclair (US only). 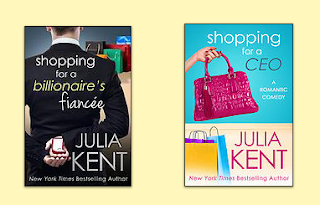 The Shopping for a Billionaire Boxed Set from New York Times bestselling author Julia Kent is a 600+ page, hilarious romantic comedy with heart, heat, and laughs. Best of all, it's ON SALE for only $0.99 (save $5.00) for a limited time. Don't miss out! This boxed set contains the previously published Shopping for a Billionaire 1 (FREE), Shopping for a Billionaire 2, Shopping for a Billionaire 3, Shopping for a Billionaire 4, and Christmas Shopping for a Billionaire. Also available: and Shopping for a Billionaire's Fiancée (read my blog post), and Shopping for a CEO (read my blog post). Ever meet a hot billionaire while your hand's in a toilet in the men's room of one of his stores? No? So it really is just me. Hmm. When you're a mystery shopper, you get paid to humiliate yourself, all in the name of improving customer service. Romance isn't in my job description. But the day I met Declan McCormick it was love at first flush. Until I nearly castrated him with my EpiPen. 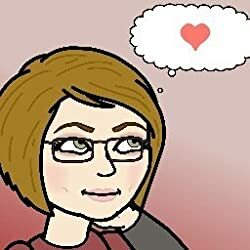 How Hot Guy and Toilet Girl became an item involves my crazy mom, a trip to the ER, my homicidal cat, my fake wife, and true love. Don't look at me like that. I'm just doing my job. I'm shopping for a billionaire. Since being dumped by my ex-boyfriend last year. Steven Michael Raleigh decided that finishing his MBA meant he needed a trophy wife who could schmooze with all the hoity-toities on the Back Bay in Boston. Speaking of billionaires, hellllooo Christian Grey. In walks a man wearing a suit that must cost more than my rickety old Saturn sedan. Fine grayish-blue with fibers that look like he snaps his fingers and they conform to his body because he’s that dominant. Trim body with a flat, tapered torso, and oh! His jacket is unbuttoned. The bright white shirt underneath is so bespoke that it fits like a glove.